who are seeking out sustainable companies and products. There’s also a misconception about the automotive repair world that shops are dirty. But we know that’s not always the case. Embracing the environmentally friendly movement may not only be good for the earth, but for your bottom line and shop aesthetics, too. A recent study by Nielsen, “The Conference Board Global Consumer Confidence Survey,” found that 81% of global respondents felt strongly that companies should help improve the environment. In the U.S. the number of consumers who felt strongly was lower at 68%, but sustainably minded consumers were still making up a majority. We talked to a few repair facilities that have implemented environmentally friendly practices at their shop. Sometimes the practices cost the shops more and other times the shops saved money. In the end, the shops we spoke with felt the green practices were the right thing to do for their business and the environment. 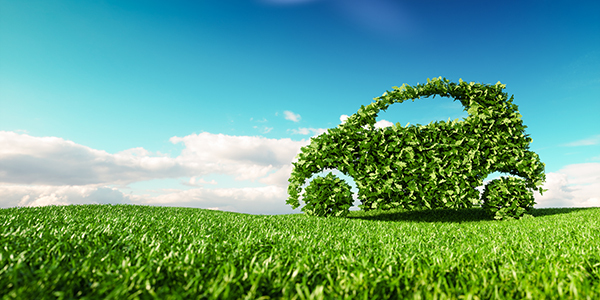 From the very beginning Team Ryan Automotive was focused on green initiatives. After working for nearly two decades as a technician, Dan Ryan decided to start his own auto repair business. 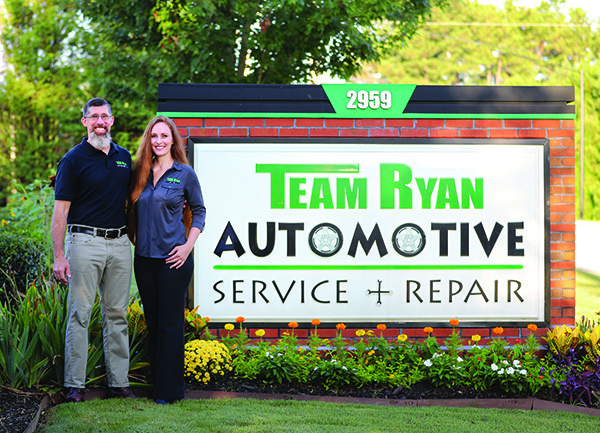 In 2015, together with his wife Shara, Dan started Team Ryan Automotive in Buford, Ga.
“It’s something that was at the forefront from the get go,” Dan shares. “It’s just how we handle things in our personal lives, and, by default, that’s how it got handled in the business. Instead of building a new shop from the ground up, the Ryans purchased an existing house and warehouse, and then renovated the buildings to fit their needs. Among the renovations was the installation of an industrial acrylic floor system, which has helped the business with its green practices and more. 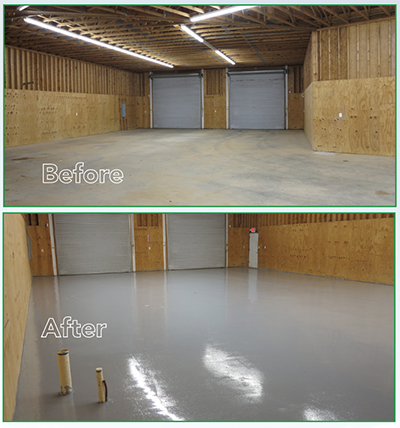 “Prior to getting anything in the building, we had the floor sealed. This prevents any spills that may hit the floor from soaking into concrete and, then, ultimately leaching into the ground,” Dan says. Other added benefits of the light gray flooring have been a better-lit space for technicians, with light reflecting off the floor, as well as a cleaner appearance inside the shop. “[Our shop] has a very clean and professional appearance to the average consumer. We hear, ‘This shop is spotless!’ So it does help not only from an environmental and functional standpoint but also a presentation and image standpoint to have this floor system,” Dan says. Other features of Team Ryan Automotive’s building that help with its environmentally friendly goals are a white shingle, energy-star roof, fluorescent lighting and a waste oil heater. The heater has been a talking point for the shop, and something Dan is particularly proud of having. Dan notes that the waste oil heater was more costly to install than a traditional heater (estimating it would take five to six years to break even on his investment) and it has yearly maintenance costs, but keeping the environment in mind it has been a good investment for his business. • An ink cartridge exchange program. • Recycling of batteries, antifreeze and tires, as well as all cardboard and plastic materials used by the shop. • Outsourcing the cleaning of soiled shop rags and uniforms. Dan says making the changes to go green isn’t as challenging as some shops may think. “A lot of resources is at your fingertips, you just have to know where to look. A lot of the recycling facilities are willing and able to come and help you properly dispose of specific products and a lot of times it’s going to require a very small shift in your day-to-day operations,” he shares. Farhad Ghafarzade got his start in automotive repair performing veggie conversions on car engines. After converting his own diesel engine to one that ran on vegetable oil, he started offering that service to others. 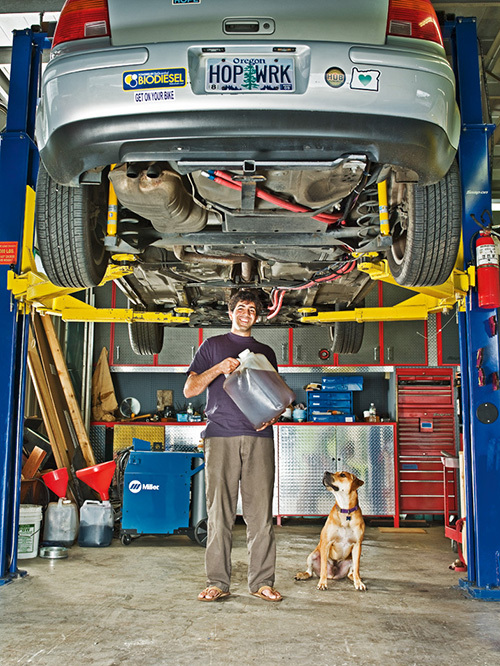 In 2009, Ghafarzade opened Green Drop Garage to perform automotive maintenance on both domestic and import vehicles. Based on his personal values, Ghafarzade decided to make his business as green as possible. Today, Green Drop Garage has grown into a four-shop eco-friendly automotive repair business in Portland, Ore. Green Drop Garage has gone above and beyond state and federal requirements for environmental standards, earning it an EcoBiz certification (a certification recognizing businesses in Oregon that adopt best practices and protect the environment). The shop gets many customers because of its green practices, but that’s not the reason the shop pursues such initiatives. “Being in Portland, we certainly have customers who seek us out because we’re green. Being green is just the right thing to do,” shares a representative from Green Drop Garage. Oftentimes, the green practices may cost the shop even more money, but it’s a justifiable expense. “[Being green] does cost more money. For us, it’s simple: it aligns with our values as a company, as employees, and it aligns with the values of our client base. As the country becomes more eco-conscious, there will be a bigger and bigger market for this new way, the ‘green’ way,” the company shares. • Using an enzyme-based parts washer. • Adopting a no-aerosol initiative. • Recycling: filters, wiper blades are separated by material (paper/cardboard, metal, plastic, rubber) and recycled accordingly. • Using re-refined oil, as well as recycling used oil. Green Drop Garage sends used oil to a local refinery, and repurchases that recycled oil. • Capturing rainwater for use in toilets. The shop has found that one day of Portland rain is enough to flush 400 times. Green Drop Garage also offers its customers a car care membership that helps them better maintain their vehicles. Better-maintained vehicles equal a longer lifespan and less cars getting junked. “We set ourselves apart with a stellar product, a unique model that supports our values. We have a membership that encourages clients to come in quarterly. This way, we can focus on maintaining vehicles. Well-maintained vehicles last longer and we can all agree that that’s better for the environment. Broken cars turn cars into consumables; we don’t want that,” a Green Drop representative shared. 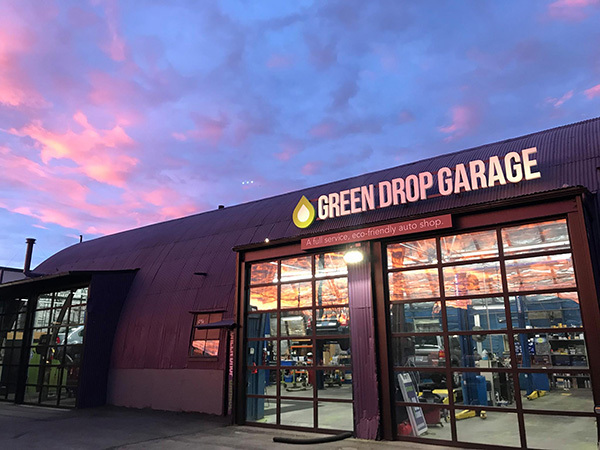 For automotive repair facilities looking to make a change, Green Drop Garage says adopting recycling practices at the shop is one of the easiest and most impactful changes a shop can make. What Can Your Shop Do? In addition to suggestions made in this article, shops have lots of other opportunities to be run more environmentally friendly. • Use re-refined oils and re-refined antifreeze. • Purchase high use oils and other fluids in bulk. 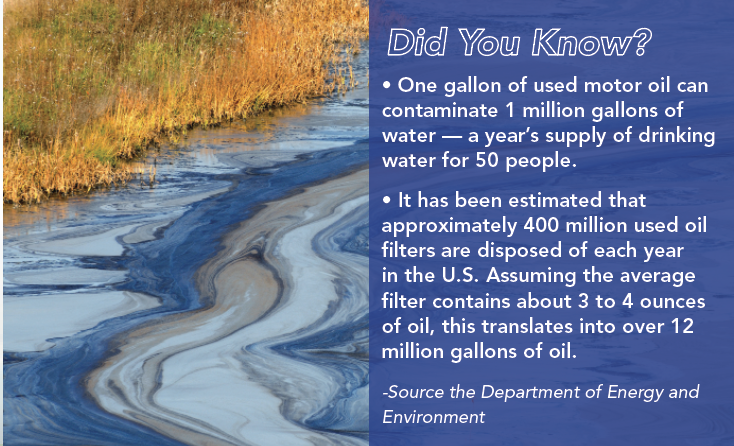 • Reach out to their local state agency or their city and ask for some sort of technical assistance with hazardous waste. 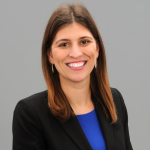 Asking for non-regulatory assistance will allow the business to get help with environment compliance without the threat of getting in trouble. • Talk to your local waste management and have them come in and provide training on proper recycling. • Check with your state to see if there are cash incentives provided for energy upgrades. • Discuss programs with energy providers on ways to be more energy efficient.